Click this link to see a panorama of bald eagles at Chehalis Flats, near Harrison Mills, British Columbia taken on November 14, 2013.
hat tip to Don K.
It is amazing that our Western Washington rivers are still stinking of rotting pink salmon carcasses, and have been since the fish spawned and expired back in September. Not surprisingly, a casual drive up the Skagit and Sauk Rivers Wednesday yielded plentiful eagle sightings. 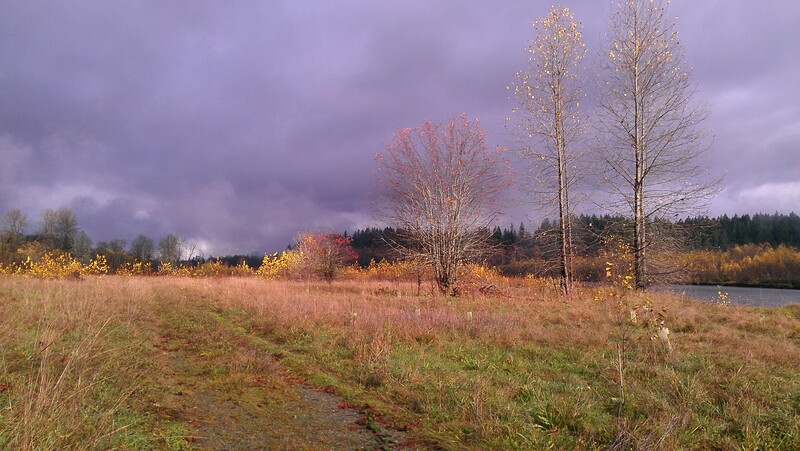 The site in the photo above is the Sauk-Suiattle Conservation Area on Bryson Road near Darrington. Anyone looking for eagles to watch will be well rewarded here. We are all hoping for a strong run of chum this year, which will bring migrating eagles in force and keep them here through the winter. This month, large pods of orcas and dolphins have been spotted in inland waters such as the strait of Georgia and Puget Sound. These cetaceans are more commonly seen closer to the open ocean, such as in Haro Strait. Could they be feeding on chum which are swimming through now on their way to the Skagit and other west coast rivers? I am trying to find out more about the chum run and will post again if there is any new information. For now, please enjoy video of the dolphin “superpod” which thrilled passengers on a BC Ferry from Galliano Island to Tsawassen on October 31, 2013. Our volunteer sign-up period is now open. 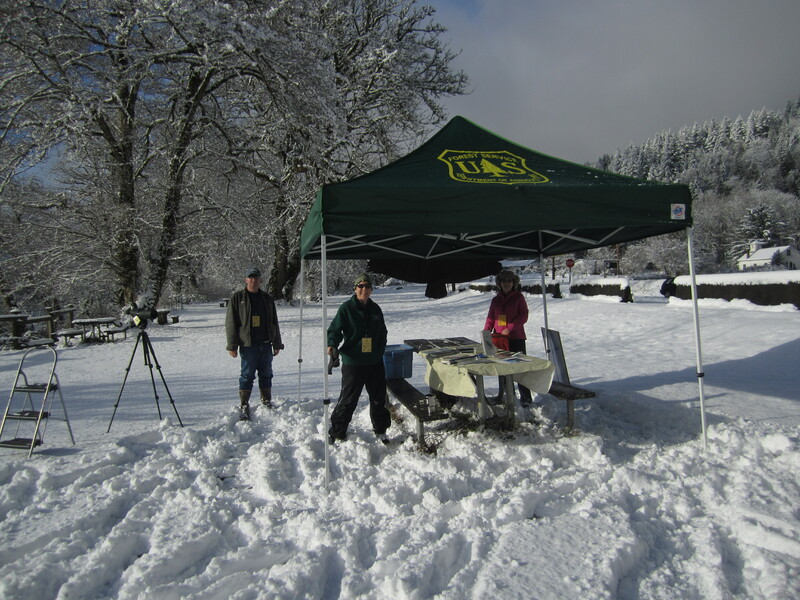 We are looking for adult volunteers who want to help the public with eagle viewing on the upper Skagit River this winter, and educate visitors about the salmon lifecycle, eagle migration, and the importance of the Skagit watershed. Find the application by clicking the tab above that says “2013 application.” Some of our volunteers are new, and some have been coming back each year for as long as 20 years! Want to come have some fun on the river this winter? Join us!